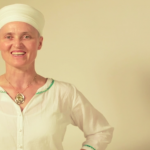 Born into an ashram in Amsterdam and raised by spiritually-minded parents Tarn Taran Singh and Tarn Taran Kaur, Madhur-Nain Webster’s life has been balanced by the traditions and practices of Kundalini Yoga. 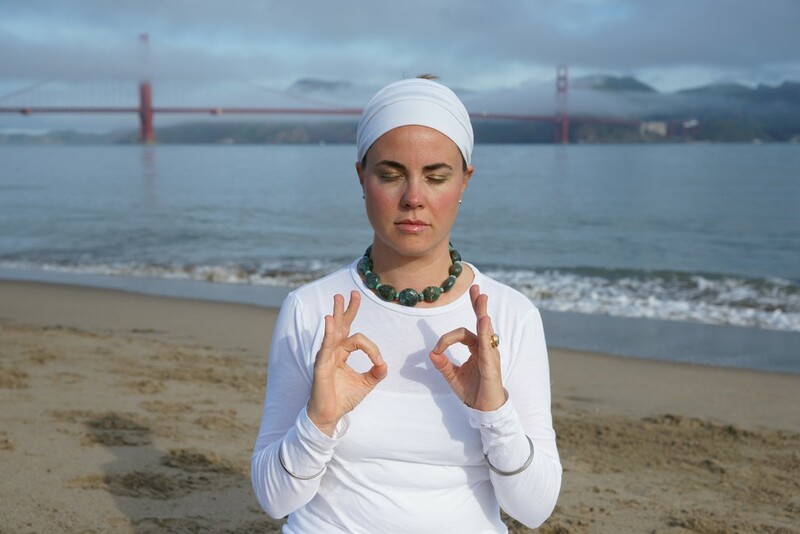 Her love of humanity and fascination with the human mind and behavior guided her towards a career where she could influence people and enrich their lives through the use of meditation. 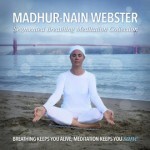 Madhur-Nain is a licensed marriage and family therapist in Napa, CA, and she also creates and sells Kundalini head covers, inspiration cards, meditation albums, and more. 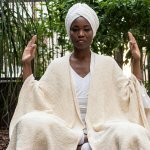 Her conviction of the positive influence of meditation has on the psychology and well-being of a person plays a major role in her approach to therapy, and to life. 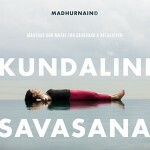 We caught up with Madhur-Nain to hear all about her experience with Kundalini Yoga and how it has influenced her career and head cover line sold in the Spirit Voyage boutique! 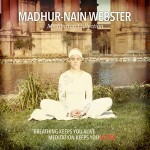 meditation. 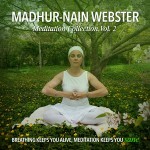 I use Kundalini meditations as interventions with my clients in my psychotherapy practice and needed to have mantras which were super easy to follow and simple so I made CD’s for the meditations. Meditation time is like a tray of colors to choose from to create my products. My cKc headcovers: Simple, elegant, and easy to use. What is the benefit of wearing white? What are your hopes for your customers? 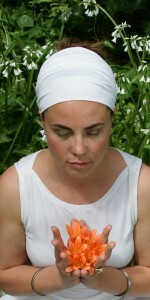 White protects you, helps you to feel strong and radiant. Expands your magnetic field around you. Have a power meeting to go to. 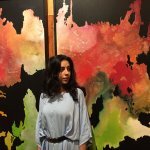 Have to have a tough conversation with your partner or feel low and sad? Wear all white in any form. What do you hope they receive from your offering? I hope that my products support you to connect to your inner self to build a relationship which can help keep you up in this journey of life. 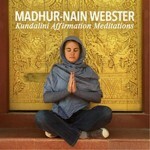 Kundalini yoga and meditation is the awareness of YOU. The trick is YOU have to practice it to receive the fullest affect of YOU.